There is almost nothing better in spring than taking walks to enjoy the first flowers of the season. The emergence of daffodils always signals for me that winter is truly over and all the wonderful weather months of the year are yet to come. 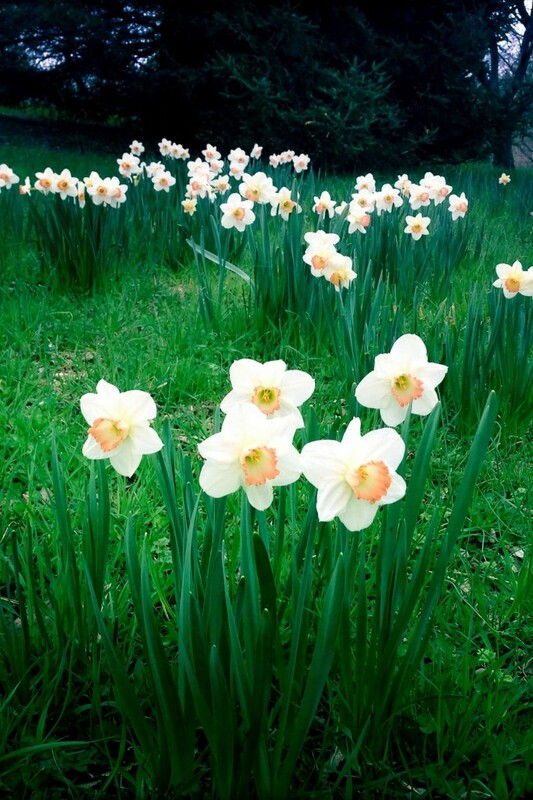 William Wordsworth also appreciated daffodils, writing a masterpiece of a poem dedicated to these symbols of rebirth. 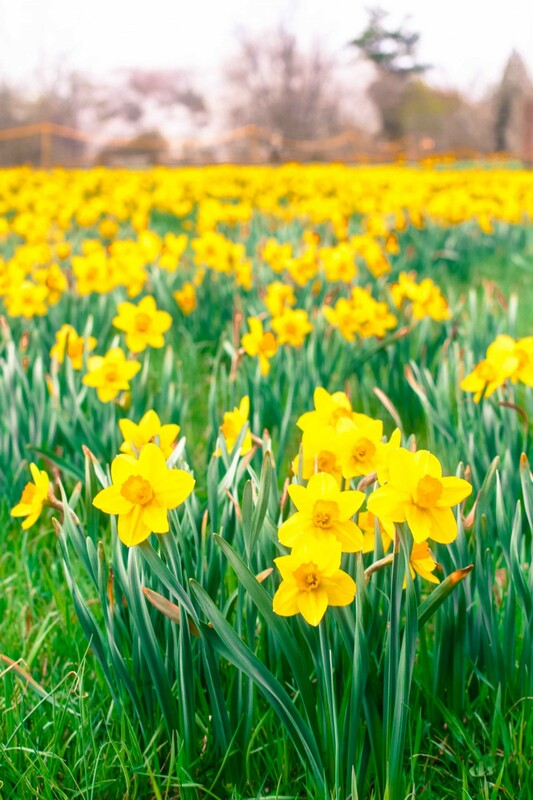 The poet not only exulted in the sight of the daffodils but realized his indulgence in such displays of natural beauty carried over to more mundane times when they would “flash upon” his “inward eye”. More reason to make time to appreciate beauty as a way to enrich your life and sustain your health. 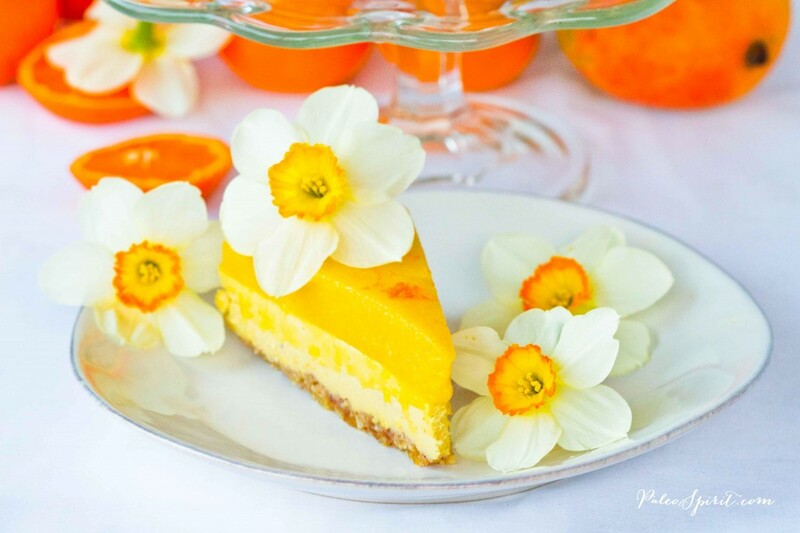 Daffodils* blooming is also the time of year when fresher flavors are in order. Following on the heels of the Paleo Key Lime Pie I share this recipe for a frozen paleo cheesecake tart that also incorporates the refreshing flavor of citrus. 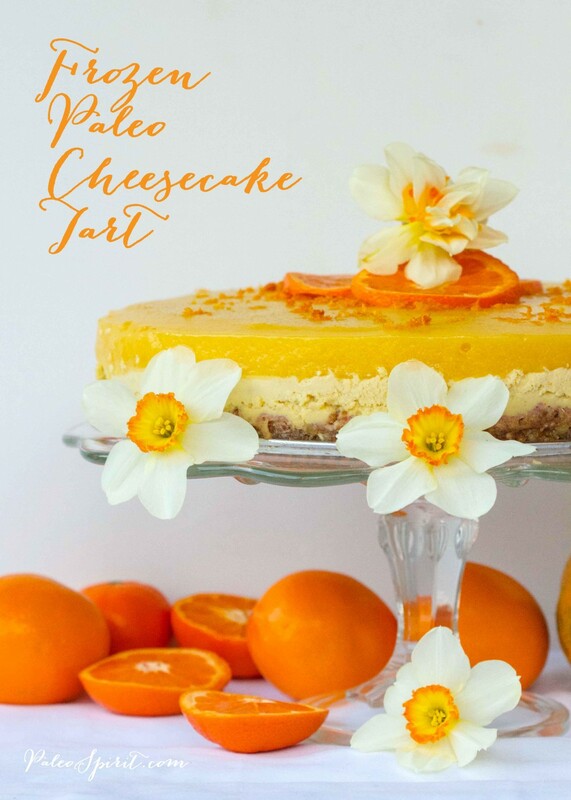 This no-bake, grain-free paleo dessert contains a dairy-free “cheesecake” layer of mandarin orange flavored cashew cream topped with a puree of mangos and mandarin orange juice. Press down with your fingers or the back of a spoon to pack it evenly into the bottom of the pan to create a base. Drain the soaked cashews and place into a food processor with the orange juice, zest, coconut oil and honey and process for several minutes until very smooth and creamy. Pour into the springform pan on top of the tart base. 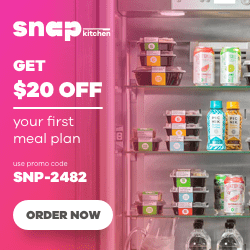 Place into the refrigerator or freezer until set. 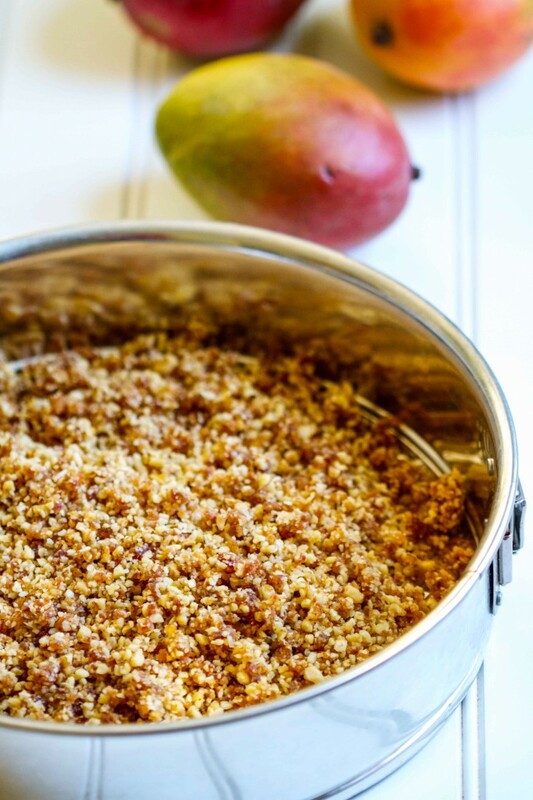 Combine the mango, honey and salt in a food processor and process until smooth. Heat the 1/4 cup orange juice in a small bowl, add the packet of gelatin and stir until the gelatin melts. Immediately add it to the food processor with the mango mixture and continue to process for another minute or two. 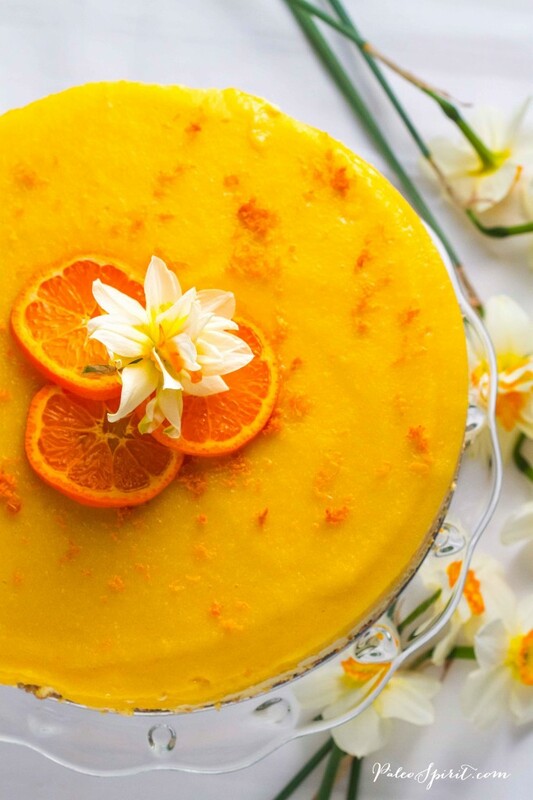 Pour the mango mixture on prepared “cheesecake” tart base. 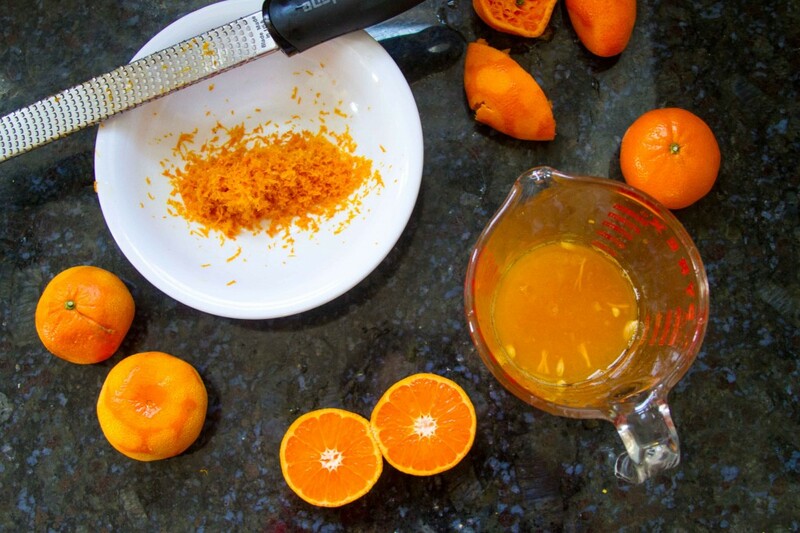 Top with some extra orange zest, if desired, cover with plastic wrap and freeze. Before serving, allow the tart to defrost slightly so you can remove the sides of the springform pan and so it can be cut but is still mostly frozen. *Daffodils on the cake are for decoration only. 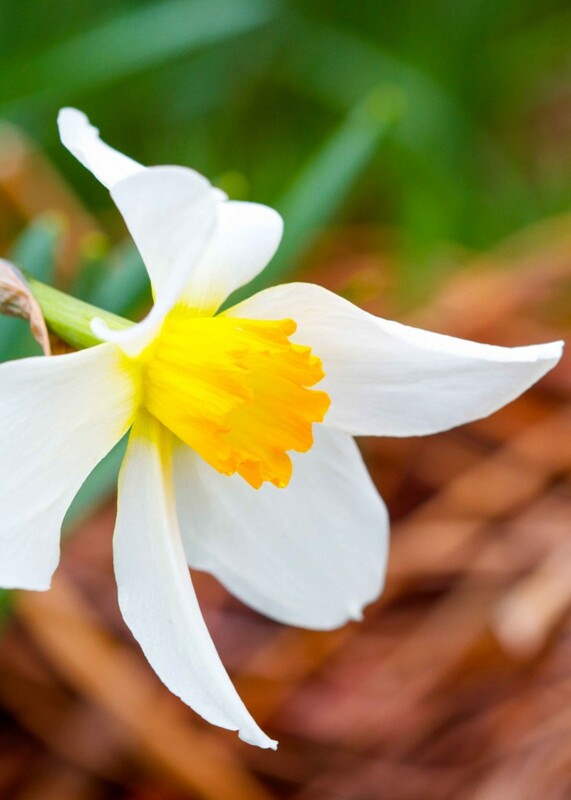 Keep in mind daffodils are poisonous if ingested. 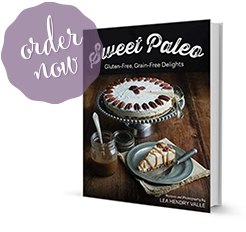 **Gelatin is somewhat optional in this recipe. If you leave it out the recipe (unless I am mistaken) would be considered raw and vegan. If you serve it frozen you probably don’t need it but I have only made it with gelatin to ensure it holds its form a little better when defrosted than it otherwise might. It’s really up to you. Thanks to The Urban Cottage for lending me the cake stand! 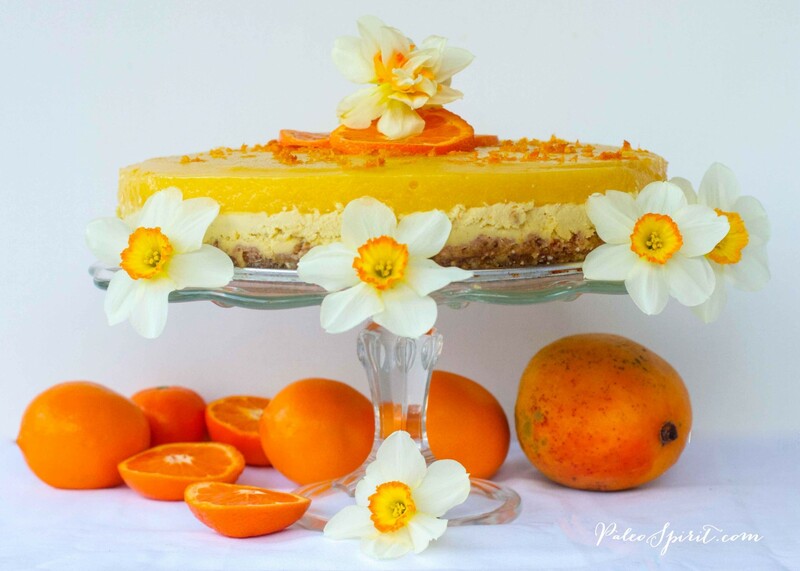 2 Responses to "Mango and Mandarin Orange Paleo Cheesecake Tart"
That is such a pretty dessert. This is beautiful!! I love the poem too. I haven’t read that in a long time. I must make this. I think I will sub passion fruit puree instead of the orange juice. 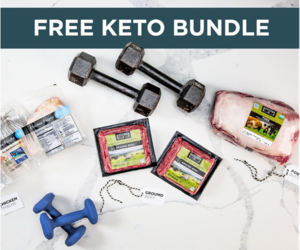 Could be amazing…..